Microgrids connect a neighborhood to a localized energy network that operates independently of the mains supply. The power to switch from fossil fuels to renewable energy sources could rest in the hands of local communities. New research suggests decentralized, smart microgrid systems are capable of providing most, if not all, of our future energy needs. 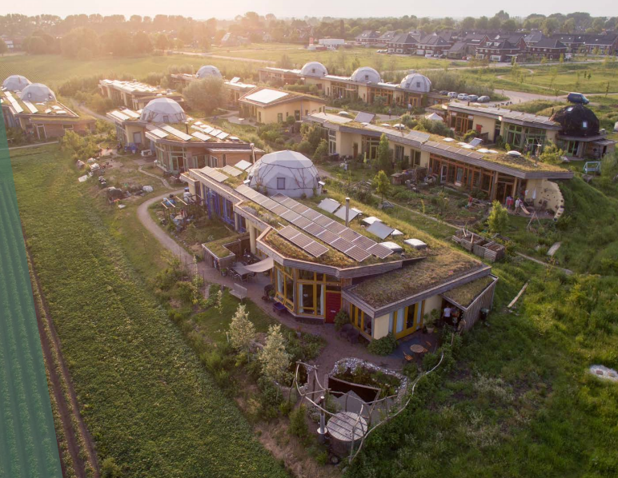 The Netherlands is pioneering a new approach to generating and sharing energy which could mean neighborhoods of the near future could produce their own renewable power. A study commissioned by the Dutch Ministry of Economic Affairs and the Netherlands Enterprise Agency is monitoring the performance of three microgrid projects in Amsterdam and one in Olst. 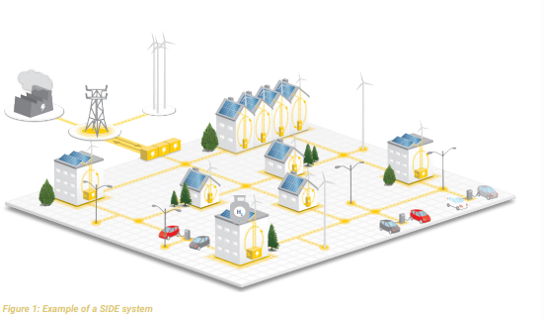 Microgrids connect a neighborhood to a localized energy network that operates independently of the mains supply, to share local energy between households. The grid communities are decentralized and owned and run by each village or neighborhood. The system combines several compatible technologies, including rooftop solar panels, electric vehicles, heat pumps and storage batteries, to intelligently harvest and distribute clean energy to the community. Using real-world data, researchers found that microgrid technologies could make local communities 90% energy self-sufficient, with potential to become fully self-reliant in the future. If optimized effectively, the grids could serve as a focal point in the country’s drive to adopt renewable energies. The report’s author, Florijn de Graaf, predicts almost half of all EU households will generate renewable energy by 2050, with a third of these working as part of a local energy community. As part of the Paris Agreement, the Dutch government has pledged to reduce the nation’s carbon dioxide emissions by 80-90% by 2050, with plans to switch 14% of energy output to renewable sources by 2020. This figure is below the EU target of converting 20% of member countries’ output to renewables by 2020. 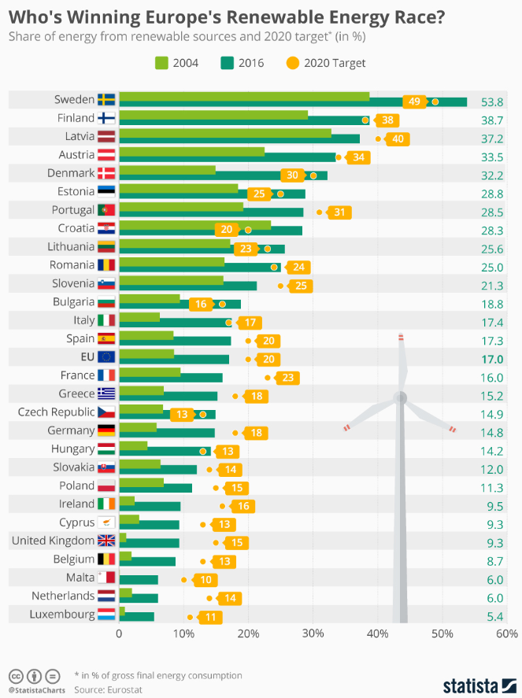 Sweden leads the charge among EU countries with 53.8% of its energy output generated by renewable sources, already surpassing its 2020 target of 49%. The Netherlands is some way behind with a current total of 6%, but there is room for optimism. Optimized properly, microgrids could play a vital part in supporting efforts to transition to renewable energy systems and meet climate targets. “As time progresses, costs go down and climate awareness goes up, more and more people will start owning one or more of these technologies,” De Graaf explains. Currently, microgrids power individual appliances – like cars or heat pumps – in isolation, which places heavy demands on the system; much like an electricity power socket overloaded with too many plugs. As more appliances are added, expensive upgrades may be required to sustain the power supply. The future of microgrids lies in what the report labels SIDE systems: Smart Integrated Decentralized Energy. A SIDE network uses an intelligent management system to integrate different components and balance local supply and demand, reducing costs. For example, solar panels collect energy when the sun shines and charge electric vehicles; any surplus power is either stored in a battery or sent by the system to power other houses in the community. The study data shows SIDE systems are less expensive in the long run than conventional grid-powered systems and don’t require expensive infrastructure upgrades. The ultimate goal is to use SIDE technology to create future “Smarthoods” where circular flows of water, food and energy would make communities entirely self-sufficient, recycling water, materials and waste wherever viable. If the success of the Dutch trials can be replicated at scale, this could dramatically alter the energy landscape and go some way towards achieving the ambitious renewable energy targets set by the Netherlands. Success on a global scale will depend on many country-specific factors, like energy policy and regulations. Places with plenty of wind, water and sunshine – especially if accompanied by high local electricity prices and costly energy tariffs – should, in theory, be good candidates for microgrids.